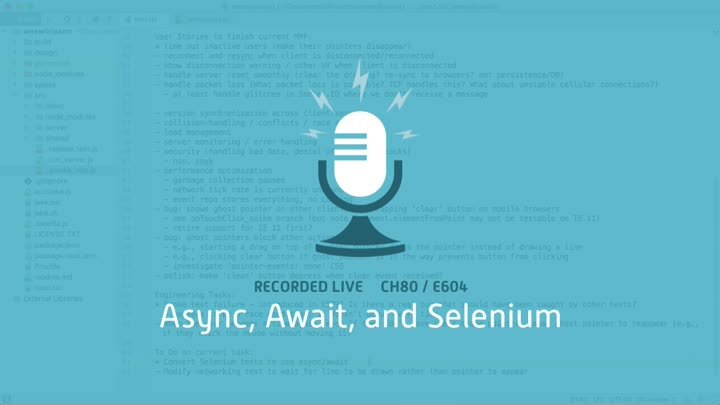 Before we fix our Selenium-based smoke tests, we want to make them easier to understand and modify. They have a lot of asynchronous, promise-like magic that makes their control flow hard to understand. Luckily, Node now has the async/await keywords. Time to start refactoring!